KENNEBUNK, Maine — Kennebunk police have arrested a Dover, New Hampshire, man who they say impersonated a police officer at a local playground. Deputy Police Chief Michael Nugent said at approximately 2:30 p.m. on Wednesday, Ryan K. Calista, 30, drove into the Parks and Recreation Center playground parking lot on Park Street at a high rate of speed, exited his vehicle wearing a police hat and police vest, identified himself as a police officer to adults there, and claimed to be looking for a missing 13-year-old boy. Witnesses also reported Calista’s truck was equipped with a flashing blue light, Nugent said. Several adults who were at the playground with children became suspicious, Nugent said, when Calista refused to identify himself or give his name. They took photographs of him and his vehicle before he left the parking lot, Nugent said. 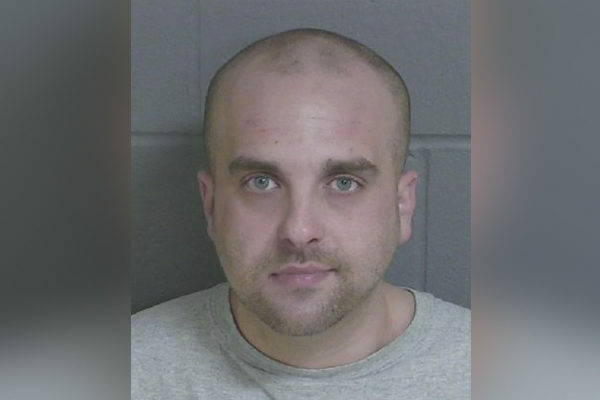 Investigating officers identified the man as Calista and coordinated with the Dover Police Department, Nugent said, learning that Dover police were dealing with Calista on a related complaint and would be arresting him for impersonating a police officer and outstanding arrest warrants. Calista was summonsed by Kennebunk police on a charge of impersonating a public servant, in addition to the charges he faces in New Hampshire, Nugent said. He is due to appear in Biddeford District Court on Feb. 20. “The Kennebunk Police Department would like to emphasize that our plain clothes officers will still have their badges displayed, and will readily show their credentials if there is any doubt as to their identity,” Nugent said.